এই শিক্ষা জাপানীরা কোথায় পায়? University and Commonwealth Government Scholarships are available for international applicants. These scholarships are available to undertake research higher degree programme at the University of Newcastle. The aim of the Robertson University and Commonwealth Government Scholarship is to enable and encourage academically able students from any nationality. Course Level: Scholarships are available to undertake research higher degree programme. -have a current offer of admission into a research higher degree. -be no more than two full-time equivalent years into their PhD (or one year for Masters) at the latest outcome date for the round in which they are applying. Entrance Requirement: Applicants must have completed at least four years of undergraduate study and have attained Honours Class 1 or equivalent and a high grade point average (GPA). Application Deadline: Application deadline is 31 March 2016. Many jobs involve sitting at a desk for hours. This is extremely bad for our body – it can cause neck, back pain and headaches; if you work on the computer constantly, then you are at risk of developing carpal tunnel, which is a numbness sensation on your hand due to pressure on the median nerve in your wrist. This condition will make you less productive at your job. So, if you have some down time at work, try doing one of these cardio, strength, or stretch exercises! Try some tricep dips using your chair. Turn away from your chair and take a few steps away from it. Grip the edge of the chair behind you, placing your hands on the sides of your body, and keep your feet firmly on the floor. Start with straight arms, then bend them. Hold for a few seconds then straighten again. Repeat 10 times. Another exercise you do can while sitting: lift one leg and extend it. Hold it straight for a few seconds, then lower slowly towards the floor. Stop when your foot is just above the floor and hold it for another few seconds. Switch legs and repeat 15-20 times. Sometimes some of us may have this experience that whole day working without any good output. We cant decide what to do now, how to manage time to complete the task in time etc. Sometime more than one task come to our desk which are all equally important. We get puzzled how to manage all these at a time. Procrastination : Constant distractions, and the low productivity that's associated with distractions, have become so commonplace in today's offices that doctors have even given it a name: Attention Deficit Trait, or ADT. And, they say that entire organizations can suffer from it. • Set aside time to deal with worries – Many of us have trouble concentrating during the day because we're constantly worrying about other things. It could be an approaching deadline for a project you haven't started, a new colleague who's causing problems, or just the amount of work on your desk. If you find yourself distracted by worries, then note these down so that you don't need to hold them in your mind. Then schedule time to deal with these issues. • Focus on one task at a time – It can be much harder to focus if you take mini breaks (15–30 seconds) to answer emails, send text messages, or take quick phone calls. Some researchers believe that it can take up to 15 minutes for us to regain complete focus after a distraction. • Switch between high- and low-attention tasks – This can give your brain a rest after heavy concentration. For instance, if you spend two hours working on your department's budget, you'll probably feel tired afterward. You can recharge your energy by working on a low-attention task, like filing, for 15 minutes before going back to your budget. • Prioritize – Having too much to do can be distracting, and this sometime causes procrastination. Or, you may quickly jump from task to task, creating the illusion of work – but in reality, you're not accomplishing very much. If you're not sure which tasks to start or which are most important, take 10 or 15 minutes to prioritize your To-Do List . Despite television, cell phones, Facebook and Twitter, traditional reading is still an important skill. Whether it is school text¬books, magazines, or regular books, people still read, though not as much as they used to. One reason that many people don’t read much is that they don’t read well. For them, it is slow, hard work and they don’t remember as much as they should. Stu¬dents, for example, may have to read something several times before they under¬stand and remember what they read. Why? You would think that schools teach kids how to read well. Schools do try. Many students are 2–3 years behind grade level in reading proficiency. No doubt, television, cell phones, and the Web are major contributors to this problem, which will apparently get worse if we don’t emphasize and improve reading instruction. Some of the blame can be placed on the fads in reading teaching, such as phonics and “whole language,” which sometimes are promoted by zealots who don’t respect the need for both approaches. Much of the blame for poor reading skills can be laid at the feet of parents who set poor examples and, of course, on the youngsters who are too lazy to learn how to read well. 1. Read with a purpose. 3. Get the reading mechanics right. 4. Be judicious in highlighting and note taking. 6. Rehearse as you go along. 7. Stay within your attention span and work to increase that span. Everyone should have a purpose for their reading and think about how that purpose is being fulfilled during the actual reading. The advantage for remembering is that checking continuously for how the purpose is being fulfilled helps the reader to stay on task, to focus on the more relevant parts of the text, and to rehearse continuously as one reads. This also saves time and effort because relevant items are most attended. • to develop an informed plan or proposal. • to satisfy a requirement of an academic course or other assigned reading. Many of us have readings assigned to us, as in a school environment. Or the boss may hand us a manual and say “Here. We need you to read this.” Whether the order comes from a teacher or boss, we need to ask, “What do you want me to learn from this?” In the absence of such guidance, you should still formulate your best guess about what you should learn and remember from the reading. Some reading tasks require no more than skimming. Proper skimming includes putting an emphasis on the headings, pictures, graphs, tables, and key paragraphs (which are usually at the beginning and the end). Depending on the purpose, you should slow down and read carefully only the parts that contribute to fulfilling the reading purpose. Even material that has to be studied carefully should be skimmed first. The benefits of skimming first are that the skimming: 1) primes the memory, making it easier to remember when you read it the second time, 2) orients the thinking, helping you to know where the important content is in the document, 3) creates an over¬all sense and gestalt for the document, which in turn makes it eas¬ier to remember certain particulars. Browsing on the Internet encourages people to skim read. The way con-tent is handled on the Web is even causing writers to make wider use of Web devices, such as numbered or bullet-ed lists, sidebars, graphics, text boxes and sidebars. But the bad news is that the Web style makes it even harder to learn how to read in-depth; that is, the Web teaches us to skim, creating bad reading habits for in-depth reading. For in-depth reading, eyes need to move in a disciplined way. Skimming actually trains eyes to move without discipline. When you need to read carefully and remember the essence of large blocks of text, the eyes must snap from one fixation point to the next in left to right-sequence. Moreover, the fixations should not be one individual letters or even single words, but rather on several words per fixation. There are reading-improvement machines that train the eyes to fixate properly, but few schools use them. They can increase reading speed markedly without a cost in lower comprehension. Poor readers who stumble along from word to word actually tend to have lower comprehension because their mind is preoccupied with recognizing the letters and their arrangement in each word. That is a main reason they can’t remember what they read. Many students say, “I read that chapter three times, and I still can’t answer the questions.” They often can’t answer the questions because they can’t remember the meaning of what they read. Even with straight-forward simple memorization questions, they often can’t remember, because their focus on the words them¬selves kept them from associating what their eyes saw with their own preexisting knowledge and thus facilitating remembering. In short, to remember what you read, you have to think about what the words mean. • Strive to expand the width of each eye fixation (on an 8.5″ width, strive for three fixations or eventually two per line). This skill has to be developed in stages. First, learn how do read at five or six fixations per line. Then work on four per line. Then three. • Snap eyes from one fixation point to another (horizontal snaps on long lines, vertical snap if whole line in a column can be seen with one fixation). Learning how to do this takes practice. If you can’t do it on your own, consider formal training from a reading center. Here I am sharing A History of the Months. I found it very interesting and hope you will too. I am also mentioning the source so that you cud get some more info if u wanna. The original Roman year had 10 named months Martius "March", Aprilis "April", Maius "May", Junius "June", Quintilis "July", Sextilis "August", September "September", October "October", November "November", December "December", and probably two unnamed months in the dead of winter when not much happened in agriculture. The year began with Martius "March". Numa Pompilius, the second king of Rome circa 700 BC, added the two months Januarius "January" and Februarius "February". He also moved the beginning of the year from Marius to Januarius and changed the number of days in several months to be odd, a lucky number. After Februarius there was occasionally an additional month of Intercalaris "intercalendar". This is the origin of the leap-year day being in February. In 46 BC, Julius Caesar reformed the Roman calendar (hence the Julian calendar) changing the number of days in many months and removing Intercalaris. Latin Februa(s) "Februa" + -arius "ary (pertaining to)"
Latin Februarius mensis "month of Februa"
Latin dies februatus "day of purification"
Februarius had 28 days, until circa 450 BC when it had 23 or 24 days on some of every second year, until Julius when it had 29 days on every fourth year and 28 days otherwise. Februa is the Roman festival of purification, held on February fifteenth. It is possibly of Sabine origin. Latin Mercedonius (popular name) "?" Intercalaris had 27 days until the month was abolished by Julius. Latin Maius mensis "month of Maia"
Common Forum/Request/Suggestions / Mother Teresa wrote this poem – "Do It Anyway"
Come down on your right knee (like you're going to propose), holding a 5- to 10-pound dumbbell with both hands to the outside of your right hip (A). In one fluid motion, raise the dumbbell across your body and up to the ceiling, just past the outside of your bent-up knee (B). (Turn your head to "watch" the weight as it goes up.) Resist gravity as you lower the weight in the same trajectory back to the start position. Do 6 reps on one side, and then switch to do 6 reps on the other side. It wouldn't be a core workout without at least one plank. This variation brings you to your forearms (A), but adds the stabilization challenge of keeping your hips level and low while you take turns tapping one foot out to the side then back to center (B). A tap to each side and back to center represents one rep. Lie on your back with your knees bent, holding that 5- to 10-pound dumbbell in both hands, straight up above your chest (A). Keeping your arms as straight as possible, lower them out to one side, going only as low as you can control without your torso contorting (B). Keep your back flat as you bring the weight back to center, and then over to the opposite side (C). That's one rep. Begin standing with feet in a slight staggered stance, shifting your weight into the foot that's in front. Raise the opposite arm into the air and place the other hand on your hip (A). Slowly hinge forward, raising the back leg and lowering the torso, keeping the straight arm and leg in the same plane (B). (Use your hip-resting hand to remind you to keep your pelvis parallel to the ground.) With control, tilt your body back to the start position, tapping the back toes down only if you must. Do 6 reps on once side, then switch sides for the other 6. And ... plank No. 2! Align yourself into that forearm position as before, feet close together (A). Using your upper body and your toes, glide yourself forward several inches (B), then back the same amount (C). Keep those hips perfectly level the whole time. One to-and-fro is a rep. Lie on your back with your knees bent, with your heels close to your glutes (A). Press your hips high and hold 'em there (B), then raise a leg straight out so your knees are aligned (C). Lower the first leg (keep those hips up! ), then raise the other. Repeat each pair 12 times. Sometimes you feel that the life is miserable and you don’t know how you are going to make it. You are tired of fighting and struggling all the time. It seemed just as one problem was solved, another one soon followed. Take three pots with water and placed each on a high fire. Once the three pots began to boil, place potatoes in one pot, eggs in the second pot and ground coffee beans in the third pot. Just let them sit and boil. After twenty minutes turn off the burners. Take the potatoes out of the pot and place them in a bowl. Pull the eggs out and placed them in a bowl. Ladle the coffee out and place it in a cup. What you are seeing? You put hard potato and found it soft. You put breakable egg, now it is hard and finally the coffee beans turned the water into such drink with sweet aroma right? Here is the explanation according to me. The potatoes, the eggs and coffee beans have each face the same adversity-the boiling water. However, each one reacted differently. The potato went in strong, hard and unrelenting, but in boiling water, it became soft and weak. The egg was fragile, with the thin outer shell protecting its liquid interior until it was put in the boiling water. Then the inside of the egg became hard. However, the ground coffee beans were unique. After they were exposed to the boiling water, they changed the water and created something new. Which one are you when adversity knocks on your door, how do you respond? Are you a potato, an egg, or a coffee bean? Look, In our life, things happen around us and things happen to us, but the only thing that truly matters is how you choose to react to it and what you make out of it. Life is all about leaning, adopting and converting all the struggles that we experience into something positive. So dear all be positive and optimistic. Don’t think what you don’t have, think what you have. Hope this will make life easy and peaceful, serene, clam and nonviolent. We have only two days left to enjoy the glorious 12th Foundation Day of our university. You are requested to present at sharp 7:00 am in the Manik Mia Avenue on 15 February 2014 on the occasion of 12th Founding Anniversary. Bring your ID Card and Lunch Coupon. Don’t forget to bring the Raffle Draw Coupon to join the Raffle Draw session. 10+ International Air Tickets and huge gift items are waiting for you. The Raffle Draw Session will be conducted at 11:00 AM. All the students are asked to remain present during the session with the Break Fast Coupon. The prizes will be announced and handed over on the spot. Go get it and don’t miss your chance!!!!!!!!!!!!!!!!!!!!!!!!!!!!!!!!! !Wishing to see you all at DIU Permanent Campus. Along with Latin, Greek is probably the language that most influenced other languages around the world. Many English words derive directly from Greek ones, and knowing their origin and meaning is important. Below you will find 12 Greek words that are commonly used in our society. The next time you hear someone saying “Kudos to you,” you will know where it comes from. The highest point of a structure. The peak or zenith of something. One could say that Rome reached the acme of its power on 117 AD, under the rule of Trajan. The Agora was an open market place, present in most cities of the ancient Greece. Today the term can be used to express any type of open assembly or congregation. Anemia refers to a condition characterized by a qualitative or quantitative deficiency of the red blood cells (or of the hemoglobin). Over the years, however, the term started to appear in other contexts, referring to any deficiency that lies at the core of a system or organization. Dogma refers to the established belief or set of principles held by a religion, ideology or by any organization. Dogmas are also authoritative and undisputed. Outside of the religious context, therefore, the term tends to carry a negative connotation. Notice that the plural is either dogmata or dogmas. The exclamation Eureka is used to celebrate a discovery, and it can be translated to “I have found!”. It is attributed to the famous Greek mathematician Archimedes. While taking a bath, he suddenly realized that the water displaced must be equal to the volume of the part of his body he had submerged. He got so excited with the discovery that he left his home and started to run and shout “Eureka!” through the streets of Syracuse. Genesis means birth or origin. There are many synonyms for this word, including beginning, onset, start, spring, dawn and commencement. Genesis is also the name of the first book of the Bible. Many people wrongly think that a phobia is a fear. In reality it is more than that. Phobia is an irrational and exaggerated fear of something. The fear can be associated with certain activities, situations, things or people. You have a plethora when you go beyond what is needed or appropriate. It represents an excess or undesired abundance. was pregnant with their only child, Yasmin, at the time. Fashion model Sarah Croker-Poole dipped her toe into the royal waters with her starter marriage to Lord James Charles Crichton-Stuart in 1959. 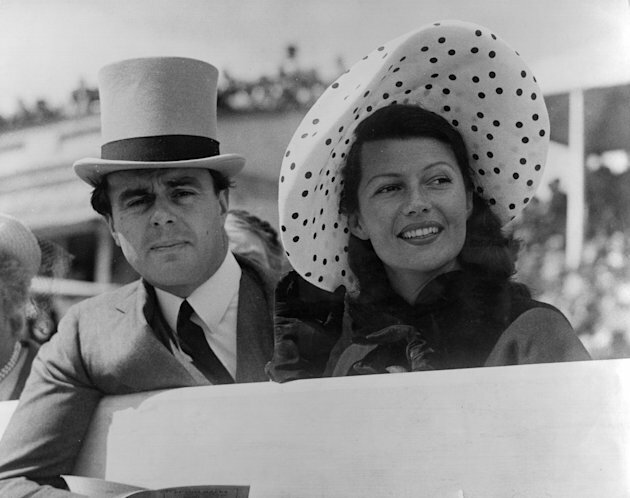 The two divorced in 1968 and she graduated to full-blown princess the following year when she wed Prince Karim Aga Khan IV. That marriage ended in 1995, though she was allowed to keep her princess title. Edward VIII, king of the United Kingdom, gave up his throne to marry American double divorcee Wallis Simpson in 1937. 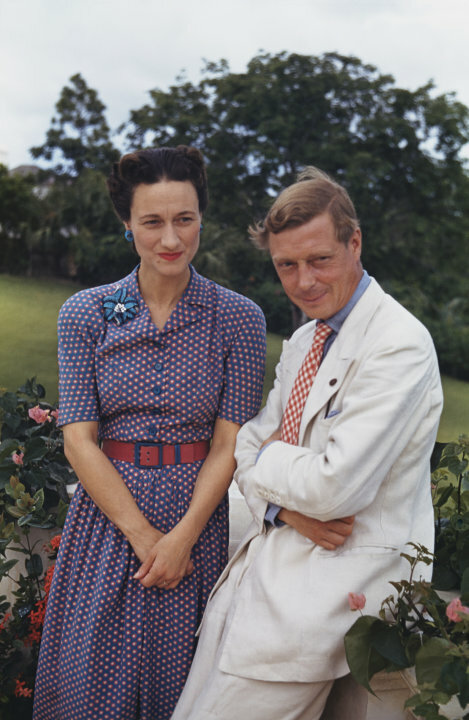 While she never became a princess, Simpson did snag the title of Duchess of Windsor. Queen Noor of Jordan was born in Washington, D.C., but gave up her American citizenship to marry King Hussein in 1978. She was his fourth wife and is the stepmother of the country's current ruler, King Abdullah, who ascended to the throne after his father succumbed to cancer in 1999. 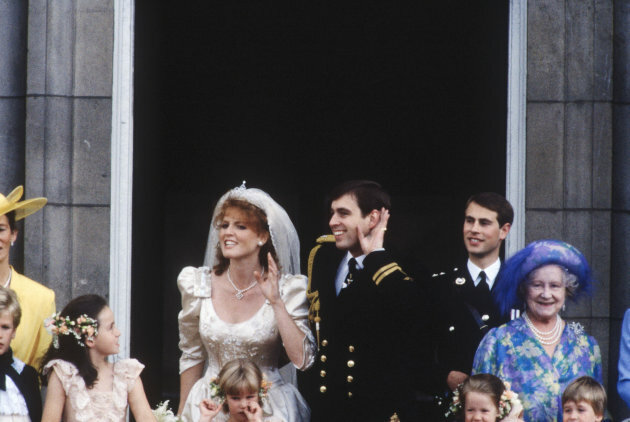 Sarah Ferguson and Prince Andrew, Duke of York, were only married from 1992 to 1996 but remain close friends. Recently Fergie was invited to Balmoral, the queen's Scottish retreat, and there are rumors she and the prince may remarry (which their reps have denied). 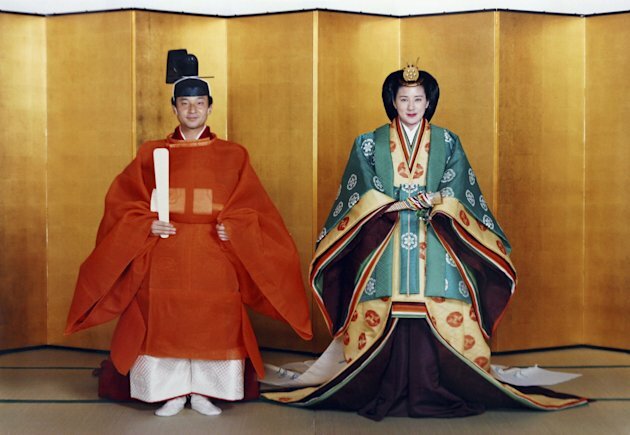 Harvard-educated Masako Owada turned down Japanese Crown Prince Naruhito twice before finally accepting his marriage proposal. The two married in 1993. The daughter of a schoolteacher, Princess Lalla Salma, wife of King Mohammed VI, was the first wife of a Moroccan ruler to be given a title. Kuwaiti-born Rania Al-Yassin married Prince Abdullah of Jordan in 1993. An advocate for global education who has appeared in Vogue, she strives to present a more modern image of Arab women to the world. She even identifies herself on Twitter as "a mum and a wife with a really cool day job." 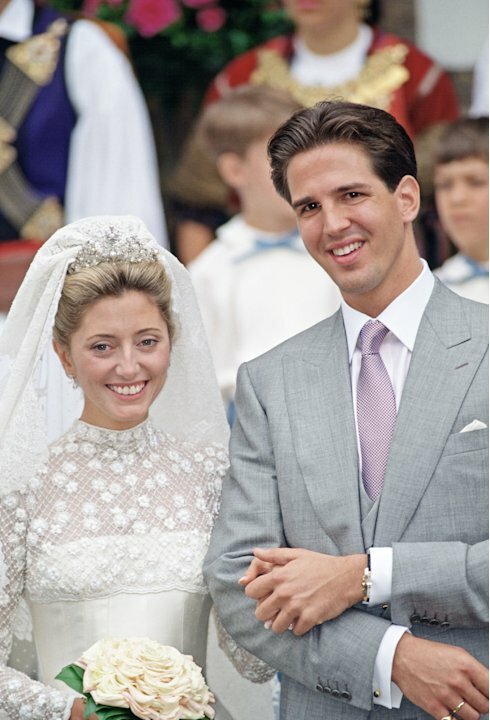 Daughter of billionaire Robert Miller, who co-founded Duty Free Shops, and his Ecuadorian-born wife, Maria Clara Pesantas, Marie-Chantal Miller married Prince Pavlos of Greece in 1995. He called it "love at first sight" when he met her at a dinner party thrown by mutual friends. Before marrying Felipe, Prince of Asturias, heir to the Spanish throne, Letizia Ortiz Rocasolano worked as a news anchor and journalist. 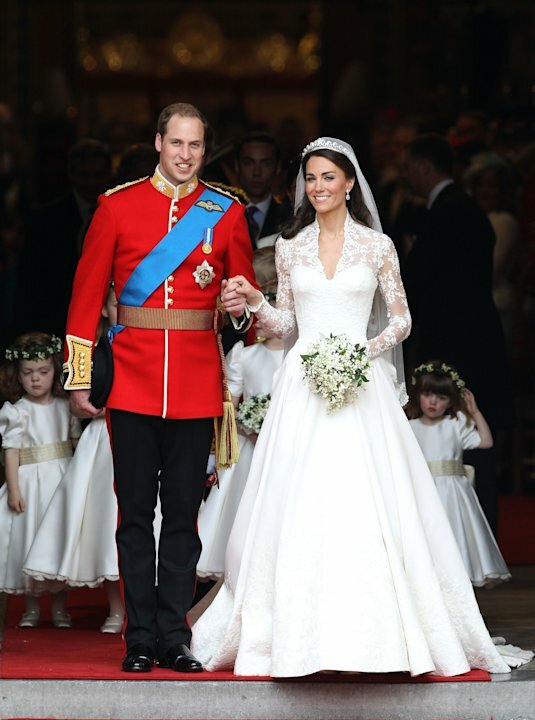 The couple's 2004 wedding in Madrid marked the first royal wedding in the city in a century. A native of Australia, Mary Elizabeth Donaldson met Frederick, the crown prince of Denmark, in a Sydney pub when he was attending the 2000 Olympic Games. The two had a long-distance courtship and married in 2004.